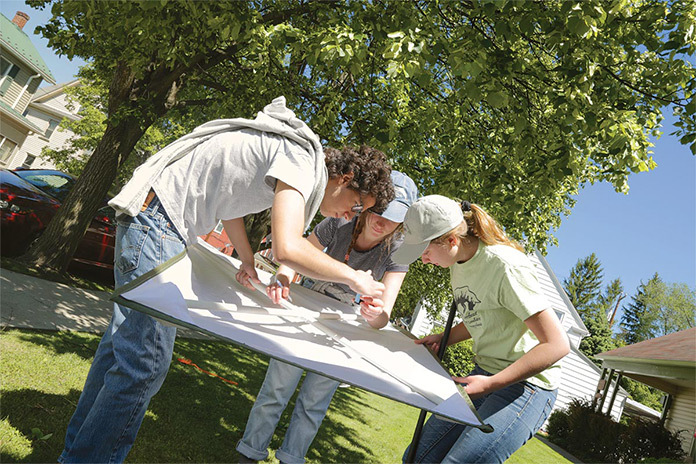 Juniata College students design their education and focus their curiosity to connect ideas, develop skills to engage with people and issues, and learn to discern meaning, relevance, and value. Our Curriculum strengthens every student’s ability to solve problems, empathize with others, act with grace in the face of complexity, and understand that to get better answers, one must ask better questions. Students will be challenged to consider issues for which no single discipline has sole ownership. Depth of education in a discipline (such as English, mathematics, chemistry, or art) is important. Experts also must know the limits of their discipline and when situations benefit from varied expertise. The useful mind must possess focused proficiency in something specific and have interest in many other things. Complex situations require varieties of expertise, understanding of many ways of thinking, and often an interdisciplinary perspective. A requirement of the Curriculum is embarking on projects that foster engagement between students and the surrounding town of Huntingdon. Every serious endeavor requires engagement. Whether engagement means effective interpersonal interaction, cultural fluency and understanding, or a comfort with ambiguity and experimentation, having the confidence to do so is of immense importance. Engagement is how discoveries are made, cultures are connected, ideas are communicated, and problems are solved. Learning to engage with different situations, people, places, and challenges is essential to be effective in one’s pursuits. Students will strengthen their ability to consider the world from different vantage points. Being able to discern the quality of knowledge and beliefs allows students to make informed judgments. Such work is epistemological, as it involves the study of how knowledge is constructed. We expect students to ask: “How do we ‘know’ this is true? Who created this knowledge? How is it accepted or trusted? What makes an action ethical or moral? Why?” Learning to embrace ambiguity while posing such questions helps students ask better questions when confronted with mystery, challenges, and new ideas. 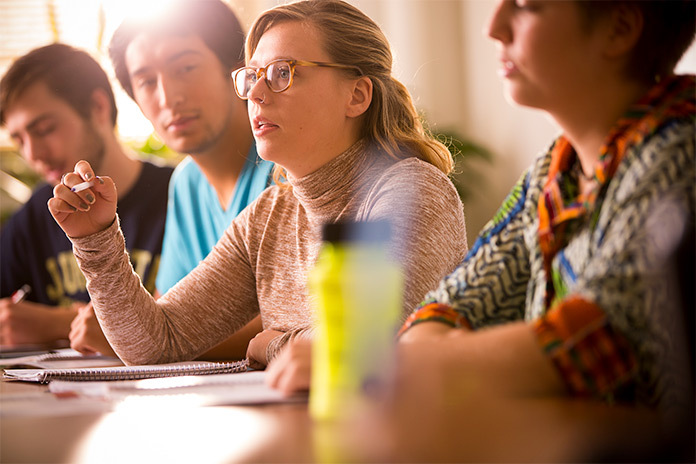 Ultimately, the Juniata College Curriculum aims to help graduates become intellectually agile and expansive enough to pursue any endeavor with a powerful and open mind. The Curriculum will provide an intellectual context for every student’s Program of Emphasis. And it provides a powerful way of finding one’s place in the world, challenging authority, and questioning assumptions. How will I choose to live my life? How and with what tools at my disposal will I understand the world? How will I choose to act in the world? Students reflect on values, beliefs, their knowledge, and their experiences. 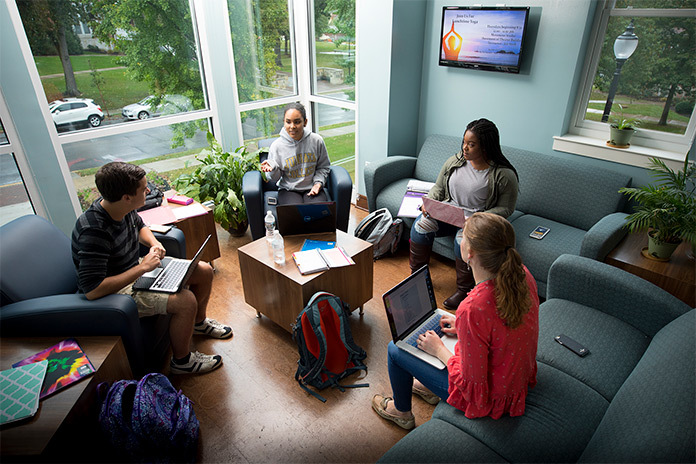 First-Year-Experience courses (8 credits) support students as they transition to college life and scholarly expectations. Seminars in topics such as “Mars,” “Water Wars,” “The Good Life,” and “Leadership in the Contemporary Age” challenge students to consider issues for which no single discipline has sole ownership. Such study is informed by ethics, professionalism, epistemological skill, and more. First-Year-Experience courses focus on developing and strengthening communication skills, strategies for navigating college life and the exploratory and practical demands of such work, and engendering the resiliency necessary for success. Through such work, students consider perspectives and develop reflective habits needed to decide what their “life of meaning” will look like. Students continue this work throughout their entire experience at the College. In our interconnected world, problem-solving requires a willingness to consider other perspectives—personal, cultural, professional, ethical, and more. The ability to understand other perspectives provides advantages in people’s ability to contribute in their communities and places of work. Ways of Knowing courses (12-15 credits) help students strengthen their ability to consider the world from different vantage points—that of a historian, a scientist, an artist, a sociologist, or an educator, for example—and to experience how their own approach to a given issue gains dimension and clarity when considered through an interdisciplinary prism. In Ways of Knowing courses, students critique distinct disciplinary styles of inquiry, learn to connect ways of knowing, and confront the complexities in our urge to organize, synthesize, and impose meaning. In a Connections course (3 credits), students consider a common topic through two ways of knowing that are quite different from one another. While Ways of Knowing courses focus on traditions of related vantage points (say, chemists and physicists), Connections courses are designed specifically to be team-taught by two faculty from disciplines intellectually distant from one another: chemistry and art, politics and geology, finance and literature, for example. An important aim of the Curriculum is to help students develop a wide base of reference for sophisticated ethical questions that benefit from strong self-awareness and awareness of the complexity of others. In Self and the World courses (12 credits), students enhance interpersonal skills, gain experience understanding people with different histories, and consider diversity, culture, and ethics through varied experiences. Collectively, these courses help students decide for themselves how best to live a life of meaning. All students put this learning to use as they participate in both local and global community engagement work, a signature element of the Curriculum. All students work on a Senior Capstone (6 credits), a project that draws upon their total learning at Juniata. The capstone may involve global or local engagement, research, internships, extra-curricular or co-curricular experiences and more as part of student’s complete reflection on their education. Through the capstone project, students act on a project and complete both critical and personal reflections on the sum of their work. The Curriculum provides an instrument to help with the capstone and to provide a record for students to use in understanding the expansive nature of their work: a portfolio students maintain throughout their time at the College. Students use their portfolios to record and highlight key experiences (particular courses, internships, study away, community engagement, as a few examples) and the products that result—whether papers, research, creative work, performances, or other artifacts. The body of work and experiences arranged in the portfolio will construct their personal educational story as well as highlight their best work for employers, graduate schools, or others. The Juniata College Curriculum is designed to ensure that every student earns an education that is greater than the sum of courses taken. The Curriculum aims to enable students to connect disciplines, engage problems, and discern meaning. It sharpens students’ focus in the Program of Emphasis while expanding their ability to learn and adapt to new experiences and ideas outside their area of specific emphasis. Juniata College works with its students as they earn the most useful and powerful kind of education—an education grounded in how to learn, how to communicate, and how to grow awareness and understanding of themselves and the world. A student’s successful completion of the Curriculum compels them to reflect on their individual learning journey and the ways their stories will apply to employment, to graduate school, to service opportunities, and other pursuits after graduation.